In a new study, researchers have found new information about gamma-ray blazars in the sky. The research was conducted by a team of astronomers including CfA astronomers Raffaele D’Abrusco and Howard Smith. When the supermassive black holes accrete material, they eject powerful jets of charged particles at speeds approaching that of light. These particles emit radiation across the electromagnetic spectrum, from radio to gamma-rays. When the jets are aligned toward the Earth, these objects are called blazars. The blazars can emit as much radiation as a million billion suns. Previous research has been trying to understand the features of gamma-ray blazars. For example, NASA’s Fermi Gamma-Ray Astronomy satellite has detected bright gamma-ray sources since 2008. However, it is hard to determine if they are blazars because of the low resolution of the Fermi satellite. It is only about the size of a quarter full moon, and in the area, many sources could be emitting in the gamma-rays. Researchers also have shown that blazars are at high energies and it is difficult to pinpoint them accurately. Extensive observations of these objects can be very time-consuming. In the current study, the team used color data from the Wide-field Infrared Survey Explorer (WISE) combined with catalogs of radio source to identify the most promising gamma-ray objects in the Fermi survey. They followed the objects for the past several years and confirm blazars with a 90% accuracy. The researchers found that the infrared colors of blazars are unique because the emission is from the blazar jets. Now the team has extended their original 2014 work. They used all the most recent data collected by Fermi and a new algorithm to analyze the WISE data. They have produced two new catalogs of WISE blazar candidates with a total of 15,120 candidate sources of blazars. The researchers suggest that the new work will enable more detailed analyses of gamma-ray blazars and other blazars. 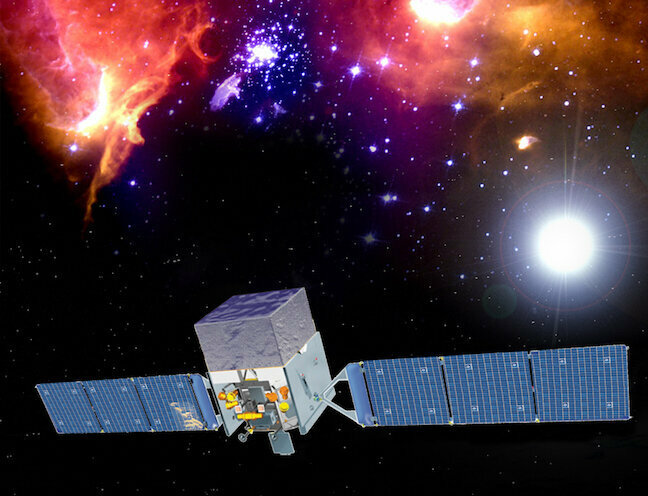 The finding will enable a complete investigation of the blazars in the gamma-ray universe. The study is published in arXiv.